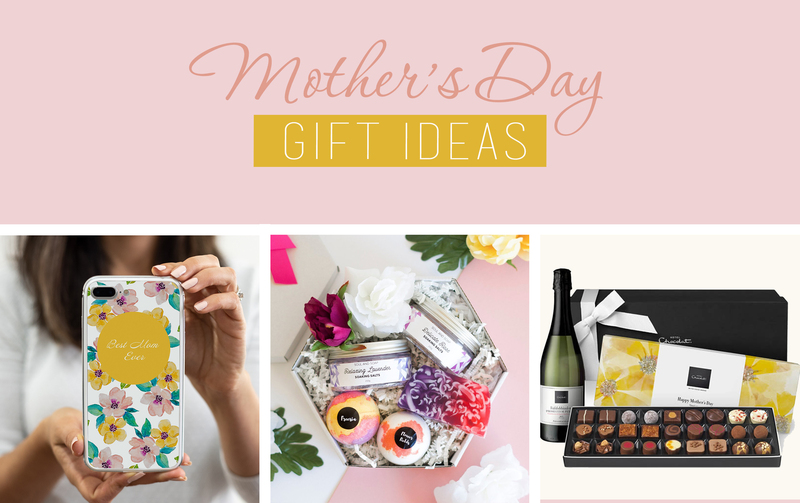 With mother's day just around the corner you might be already thinking what to get your mom this year that is a bit more different and unique. Don’t worry, we have you covered with a few great ideas! 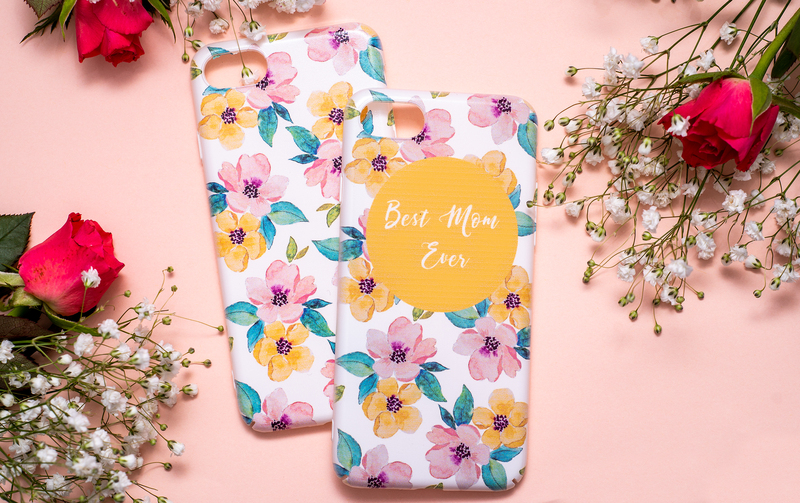 Everything pretty – because that’s what mum is. We thought of her when creating these delicate and feminine handmade items. Mother’s Day falls just at the turn of the Spring seasons. The days are growing longer, the flowers are starting to bloom, and we can enjoy the sun again. Watercolour florals are a big trend right now and you won’t make a mistake choosing one! 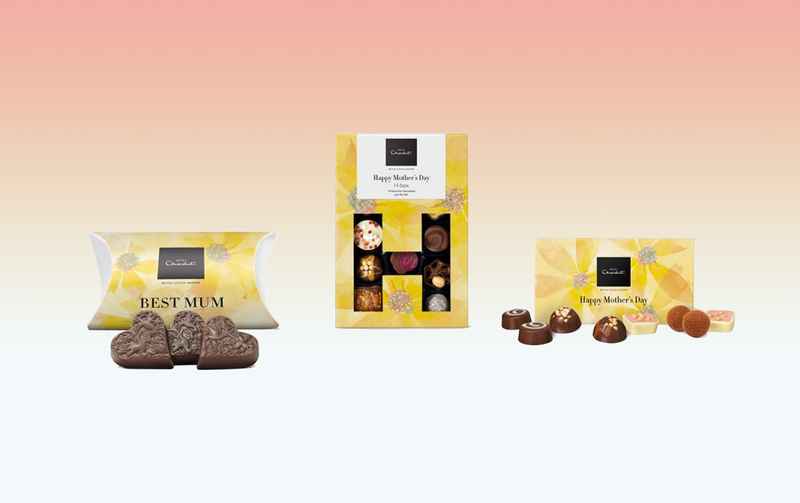 Hotel Chocolate Mother’s Day H-Box, beautifully presented selection box of chocolates, filled with delicious treats to make that special Mum feel even more special. However, if you are looking for something a bit more artisan, you can check Choco Cake’s treats. 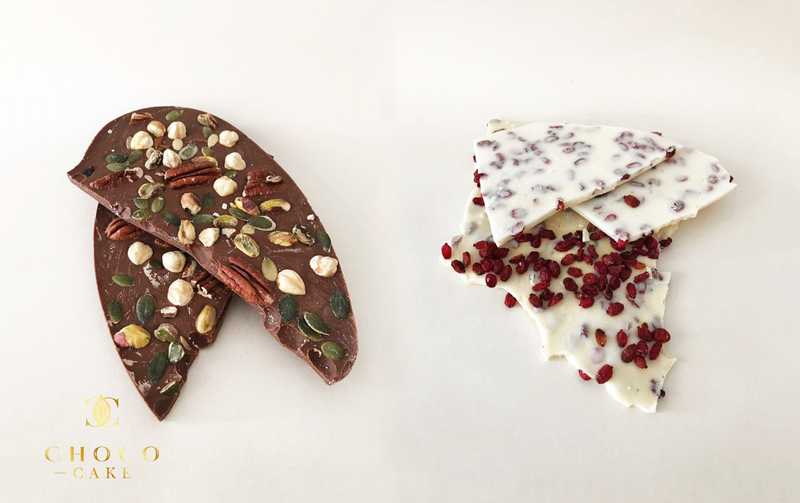 They are a small independent chocolatier based in Weybridge in Surrey, but they also deliver. You can have a look at their ETSY store here. Relaxing - because no one deserves a rest more than our hard-working moms. There’s nothing more luxurious than receiving fabulously scented, naturally created beauty products on Mother’s Day. Downtime is hard to come by for busy mamas, so lavish yours with gifts to bring a little cosiness into her precious me-time moments. When we spotted this beautifully presented Pamper set from Soul and Soap, we knew straight away that will make an amazing gift. 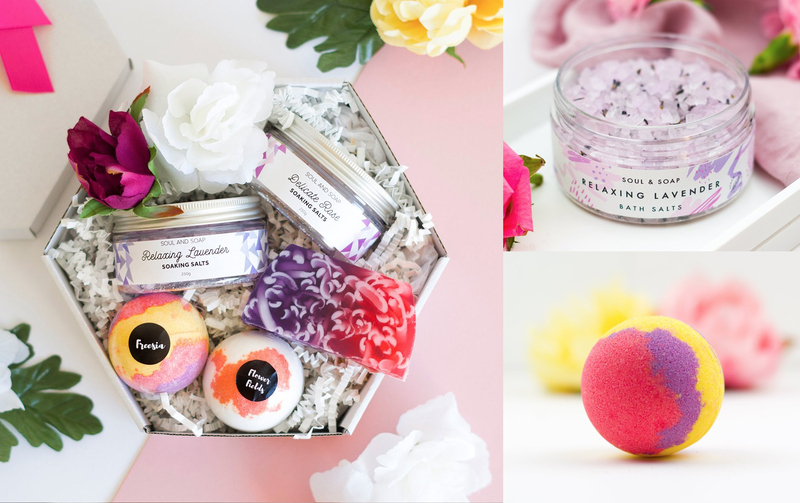 Complete with beautiful skin moisturising freesia bar soap, sea salt rose and lavender bath salts and freesia and flower fields bath bomb, this floral aroma will become a staple in their everyday lives. Each product is completely natural and uses essential oils to nourish the skin and is completely vegan too. Hopefully this has given you a few ideas. 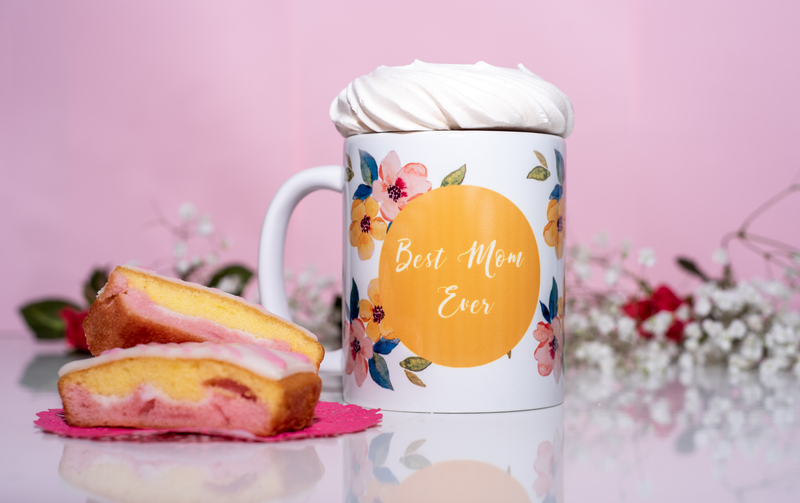 Wishing you and your amazing mom a great Mother's day!